Product prices and availability are accurate as of 2019-04-18 18:49:19 UTC and are subject to change. Any price and availability information displayed on http://www.amazon.com/ at the time of purchase will apply to the purchase of this product. 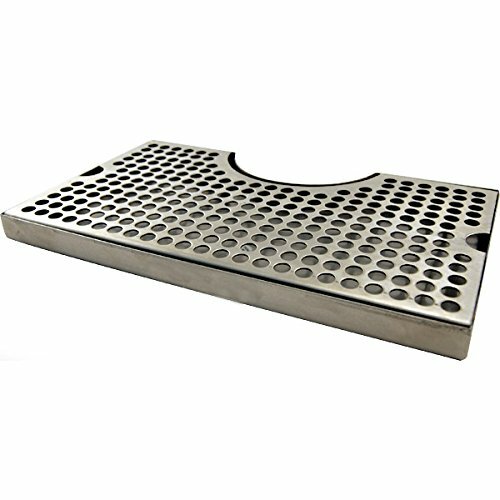 This surface mount kegerator drip tray is designed to fit around the base flange of a 3" diameter draft tower. Made of stainless steel with a brushed finish, these high quality beer drip trays are outfitted with a removable cover for easy cleaning. 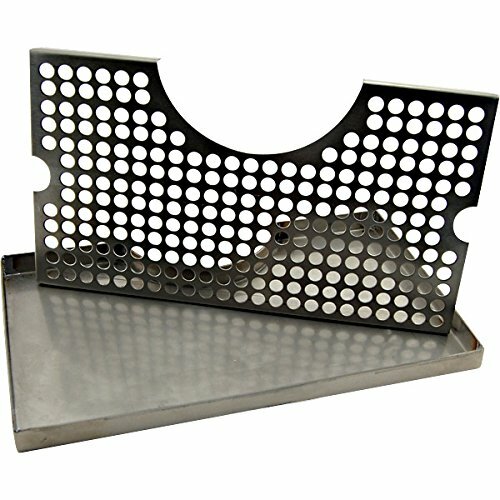 These trays are set on top of the bar under your faucet, not built into the bar. This particular tray does not have a drain hole so the tray is emptied out manually. 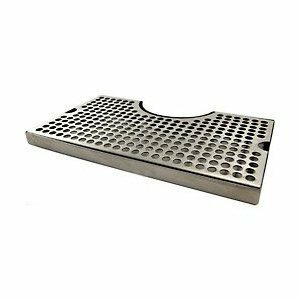 Features - Made of stainless steel with brushed finish, designed with a cutout for 3" tower base flange, stainless steel cover is easily removable for cleaning. Specifications: dimensions: 12" L x 7" W x 3/4" H. Cutout dimensions: 5" x 1.75". Includes: Stainless steel cover. Made of stainless steel with brushed finish. Has cutout for 3" tower base flange. Stainless steel cover is easily removable for cleaning. Dimensions: 12"L x 7"W x 3/4"H. Cutout dimensions: 5"W x 2"D.